Make use of this handy tool whenever you need to sum cells by font or background color, or count the number of such cells. 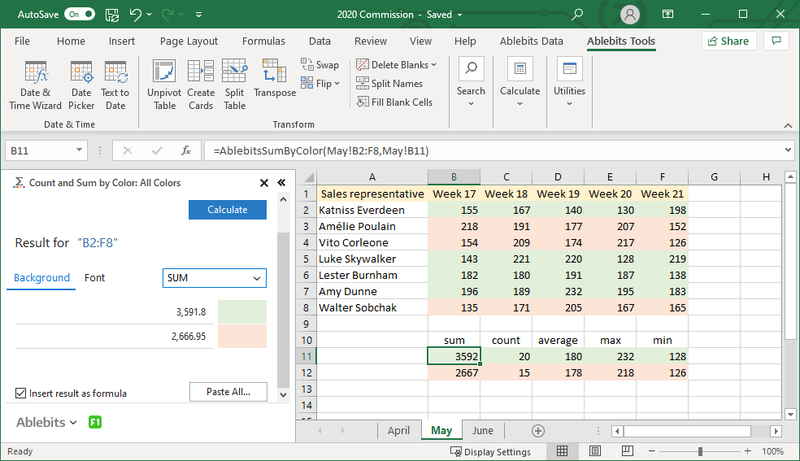 Besides, it can find average, minimum and maximum values in a range of cells colored manually or with Excel conditional formatting. Sum and count by one or by all colors Count and sum cells by one color or by all colors used in your worksheet. Calcuate cells by font color Find out the number of cells with the same font color or sum their values. Compute cells colored by conditional formatting Whether your cells are shaded manually or with a conditional formatting rule, they are summed and counted equally well. Find average, minimum, and maximum Get the average of colored cells as well as the minimum or maximum value. 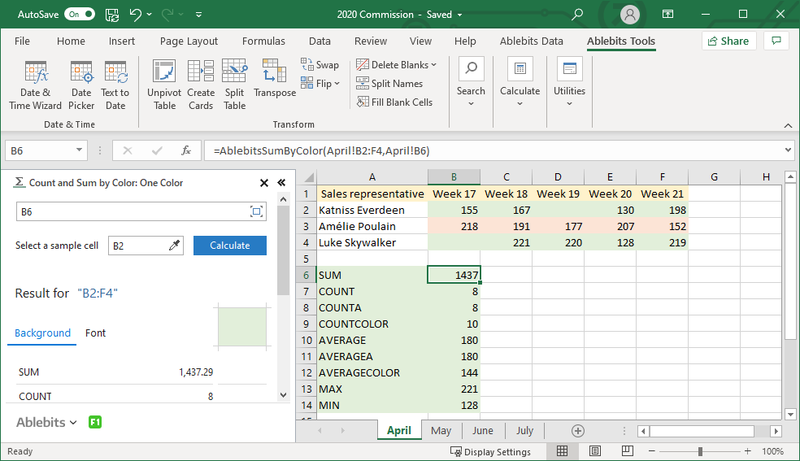 Count and sum cells by fill color Select the background color to sum and count cells in your Excel worksheet. 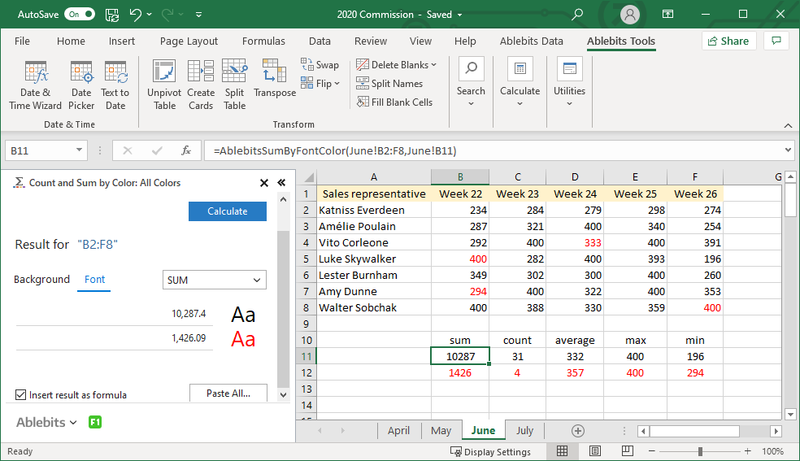 Paste the results to any location of your workbook See the summary results on the add-in pane and insert them into any place of your Excel book. What is Count & Sum by Color and what do I need it for? 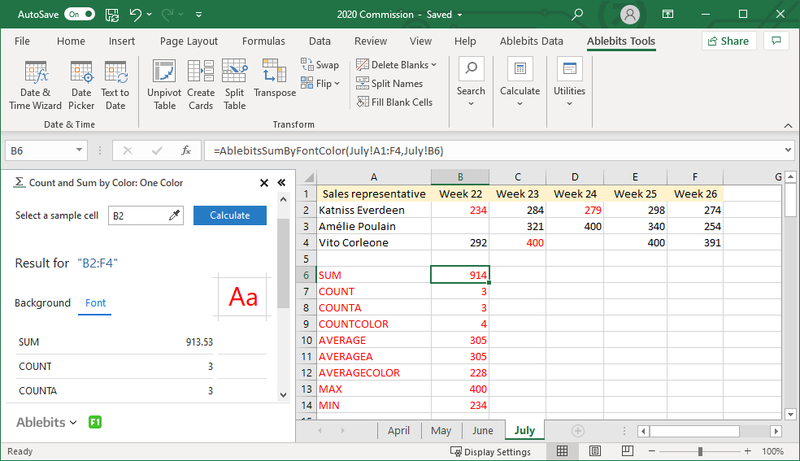 This utility sums and counts cells based on font or background color and shows average, minimum and maximum values in a range. It is up to you to choose whether to count and sum cells by only one color or by all colors in your worksheet. Don't COUNTIF and SUMIF functions do the same in Excel? No, there are no native ways to sum and count by color. The only way to count colored cells in Excel without additional tools is to write your own VBA code. How to count by color in Excel with this tool? Select the range, click on the Sum by Color icon and choose one of the options: Sum and Count by one Color or Sum and Count by All Colors. 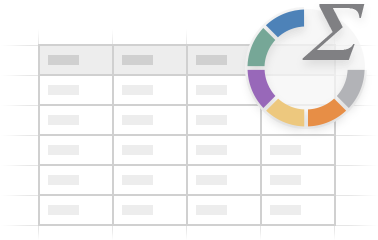 If you've chosen to work with only one color, click the Color Picker icon next to the Pick any cell with color field and select a pattern cell in your table that represents the formatting you need. Depending on your task, tick either Background or Font. Click the Calculate button and see the result right in the add-in pane. To insert the result, click Paste results button. Please find a more detailed description here. Does Count & Sum by Color work for cells with conditional formatting? Yes, the utility works both for the cells colored manually and with conditional formatting. Can I count the number of colored text cells? Sure! The add-in counts the quantity of colored entries no matter if they are text or numeric cells. I have many cells colored differently and need to count all cells of each color, is it possible? Why not, for this choose the Sum and Count by All Colors option, it works with all the colors used for font or background. If I change values in my colored cells, will I have to calculate everything anew? No, you won't have to waste your time on recalculations. Especially for such cases we have added a checkbox Recalculate when selection changes. Tick it off to keep the calculation results always updated.